Doughnut holes are the doughnut's greatest offspring. The ratio of delicious coating to delicious innerds is just right, and the bite size means I can demolish a sixty-pack of strawberry Timbits in one sitting. We don't get Timbits in Texas, but we do have Dunkin Donuts. 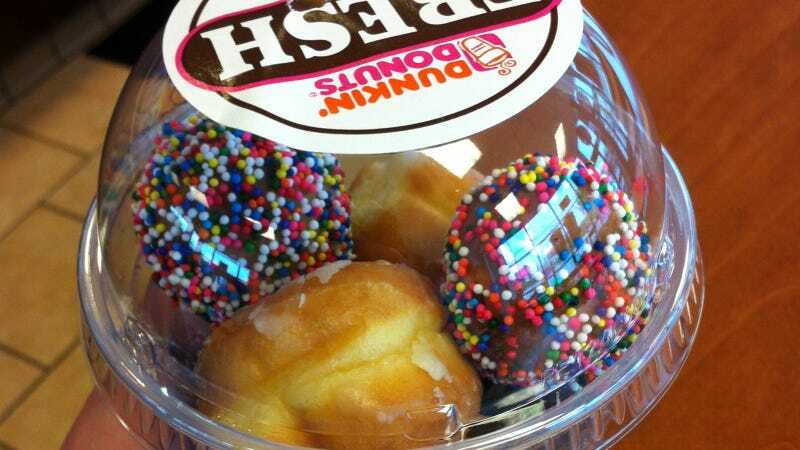 Dunkin has the next best thing: the Munchkin. P.S. : Send strawberry Timbits, please.